These are the best tea time snack any body could wish for on a cold evening. Very easy and quick to make. The more crispier the better it is. Though the other version of medhu pakoda is available I prefer making this for its crispiness which is very perfect to unwind after a long day. Cut the onions into thin slices, apply salt and keep aside for 10 minutes. 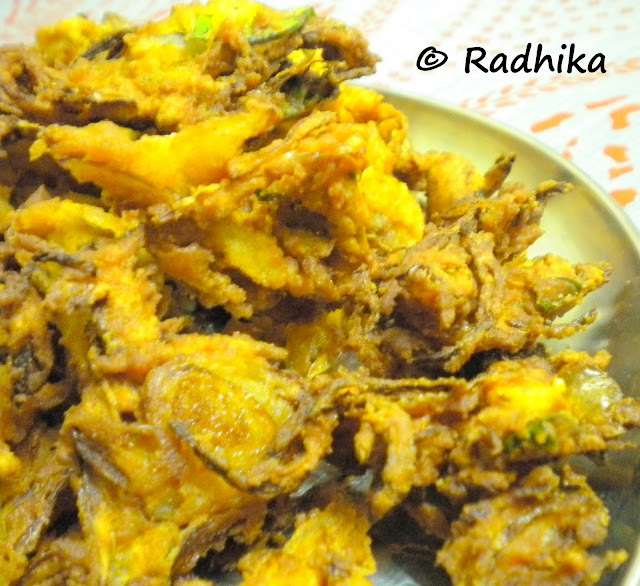 Sprinkle besan, rice flour and add all the remaining ingredients except the oil for frying, and mix well. Heat the oil in a kadai and Divide this mixture evenly and spread into small, uneven clusters and drop into hot oil. Deep fry till golden brown. Drain on absorbent paper and serve hot. 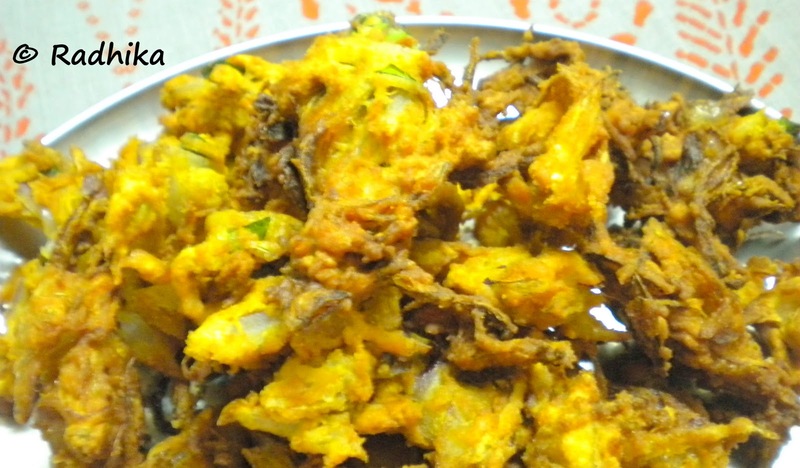 Note: The trick to making crisp onion pakodas is to refrain from adding any water to the mixture. The water released by the onions after applying salt is enough to bind the ingredients together. This is for my ” Deep Fried Snacks” event. Send in ur entries as only 3 days are left. 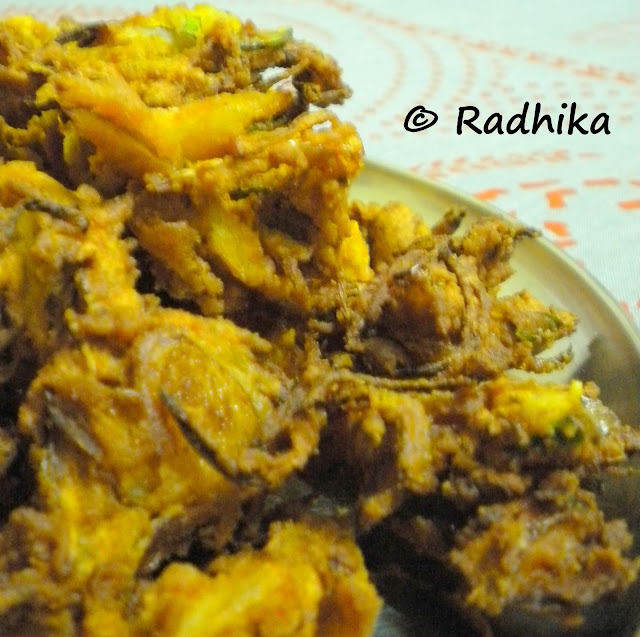 Soooo crispy pakodas,makes me drool.. Perfect snack… great munch-on for tea-time.. loving it..